On May 10, 2018, 14 years has passed since the beginning of activity of “Heydar Aliyev Heritage” International On-line Library dedicated to the heritage of national leader of Azerbaijan Heydar Aliyev, the distinguished political figure of our times. You can get acquainted with hundreds of works, speeches, interviews, meetings, statements and letters of this great political figure in our library functioning in 50 languages. The edition of Heydar Aliyev’s works in different languages is of great practical use for political scientists, economists, journalists and for those interested in the modern history and its development, as well as in the past and future of Azerbaijan. The letters of our readers also witness that our library awakes their keen interest. We can say literally that hundreds of thousands of readers from 200 countries of the world regularly get acquainted with our on-line library. There are representatives of advanced scientific and education centers of the world, authoritative state institutions, well-known mass media agencies, libraries, large transnational companies and others among the constant readers of our library. 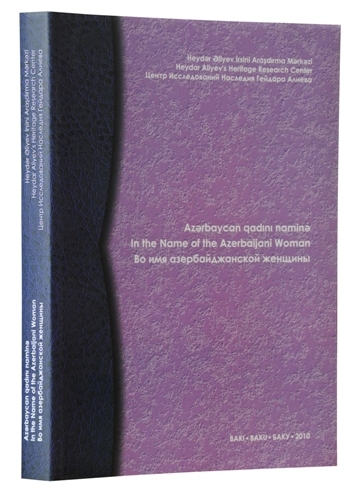 “Heydar Aliyev Heritage” International On-line Library is also engaged in publication. You can get acquainted with some of the books in our website published in different languages. “Heydar Aliyev Heritage” International On-line Library is routinely updated and enriches every day. Please send your comments and suggestions to us with regard to our library. “Heydar Aliyev Heritage” International On-line Library extends its gratitude to its readers, who contribute to improvement of our website with their proposals. "The contract of the century"